After his high-profile appearance on Game's recent R.E.D. Album, equally hated and beloved rapper Tyler, the Creator has popped up on the video for the same track. "Goblins Vs. Martians." Like some mainstream knockoff of Tyler's "Yonkers" clip, this video sees both rappers trying to shock with dark visuals. Game comes off particularly corny, with ridiculous scary guy contact lenses and a straightjacket. Even then, the Lil B diss is still a bummer. And even though he's on the original track, Lil Wayne couldn't even be bothered to show up here. 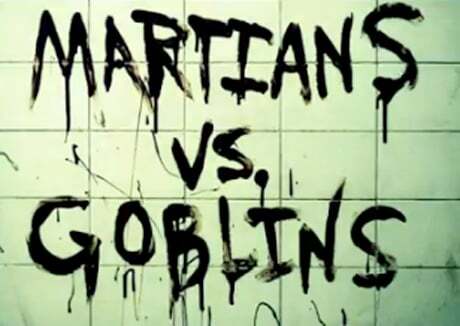 Check out the video for "Martians Vs. Goblins" below.